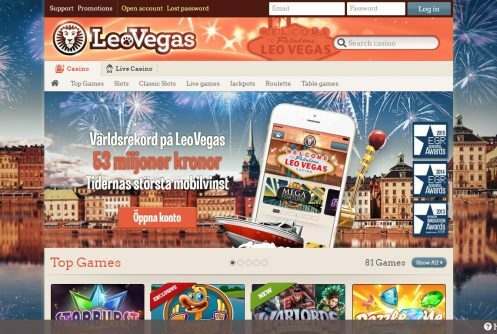 Since founded in 2012, Leo Vegas has become one of the most popular casinos in Europe. The casino is known for its innovative operations and was named the Casino Operator of the Year 2016 at the International Gaming Awards. Leo Vegas is also known for an outstanding mobile casino, one of the most popular mobile casinos in Europe. With the English casino department and support, and a complete casino offer that includes live casino, slot machines, progressive jackpot machines and sportsbook, Leo Vegas is a brilliant option for all players. The casino is owned by the company Leo Vegas Group, a Swedish limited company listed on the Swedish Stock Exchange. With the approval and license from Malta, you can also be assured that the casino is operated under strict security rules at all stages. In this article you can read our review of the casino and pick up your Leo Vegas casino bonus. Several different developers provide games at Leo Vegas : NetEnt, Microgaming, Nextgen, Evolution Gaming, Play’N GO, Quickspin, ELK, Playtech, Odobo, Thunderkick and Yggdrasil Gaming. It gives players a wide and unique range of games that make the experience exciting as you can find new games here. Once you have chosen your game you can also look up to seven other games presented in a sidebar. This way you can easily click over to another game. By the way, it may be difficult to find the specific games, but if you know the name of the game, there is no problem to search this page in the search box on the right side of the page. In total, you will find around 700 games at Leo Vegas. Here are the famous and dear like Jack Hammer, Gonzo’s Quest, Jack and the Beanstalk and exciting new ones like Joker Jester, Spartania and Irish Eyes. In addition to video machines, there are also classic table games like Black Jack, Roulette and Baccarat and Caribbean stud poker. LeoVegas Casino has its own tab on page web pages called Jackpot Games and thus you know exactly what awaits you there! You get there playing the very popular jackpot slots from Net Entertainment, and we can then mention Arabian Nights, Mega Fortune, Hall of Gods and Super Lucky Frog – among more! As a new player at the casino, you get a LeoVegas Casino bonus welcome pack that applies to your first four deposits, but first you get 20 free spins no deposit foor registration. The welcome bonus gives you 150% on the first deposit (and 100 free spins on the page), on your second deposit you will get 100%, on your third you will get 100% and on the fourth you will receive 50%. These are quite good terms – and you can get a total of € 1600 in addition. 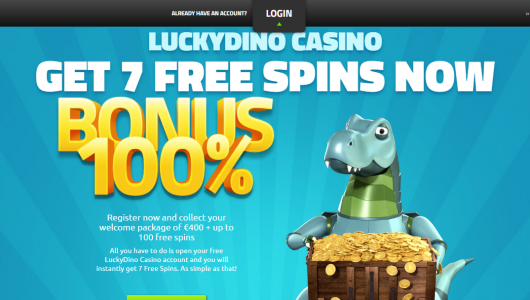 In addition to this, they still have new campaigns where they give out free spins and free money. The free money has a very good turnover requirement of 35x, so if you’re lucky with you, the money can actually be yours. In addition to the welcome bonus, you will get a lot more LeoVegas Casino bonuses. In other words, the bonus schemes are very good at LeoVegas, and they are also very good at providing information about what is associated with them. Here are no hidden requirements or terms, all in uppercase letters under the LeoVegas Casino bonus link on their website. 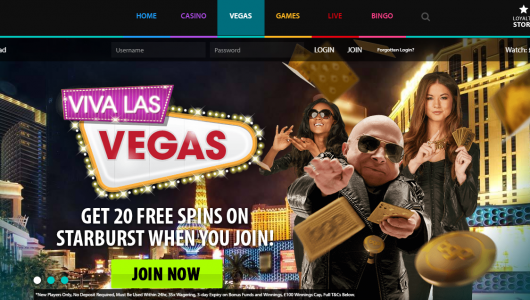 LeoVegas Casino has a number of campaigns, both in connection with the launch of new games and associated with holidays. Promotions usually consist of free cash and free spins on specific slot machines, but occasional deposit bonuses also appear. All LeoVegas bonus campaigns are launched under “news”, where you can keep track of what is applicable and newsletters will also be sent with information about promotions that are and will come. This way you can rest assured that you do not miss the offers you want to use. You will not find any LeoVegas Casino bonus code, either here or on their website. The casino uses an automatic bonus system that will transfer your LeoVegas Casino bonus directly to your account when the bonus requirements are met. In this way, players can focus 100% on the game play and do not have to follow any Leo Vegas Casino bonus codes. For promotions, you will receive newsletters by mail with information about this. It is therefore important to keep your contact information updated so that you do not miss free spins and a juicy Leo Vegas Casino bonus. For more new free bonuses check here. Deposits and withdrawals at an online casino have become increasingly easy over time, and that’s obviously also with LeoVegas Casino. When you need to deposit money, you have several different choices, but it is clearly easiest to use a bank card associated with Visa. In addition, you can also use the Paysafecard e-wallet, as well as regular bank deposits. As a rule, most online casinos operate so that they pay money to the customers using the same method as in the deposit. At LeoVegas you can therefore get the money paid by bank transfer and to your e-wallet. By bank transfer, it may take up to 3 days before you have the money in the account. Minimum withdrawal limit is € 20. Also, be aware that you may be prompted to verify your account by sending identification papers to the casino. This is a security scheme to ensure that the money goes to the right player. When you are a customer of an online casino, a well-functioning customer support is very important as you can suddenly need help. LeoVegas has a support team based in Malta, and the company says that they are proud to offer the very best customer service on the market – also in Norwegian! You will get help when you need it and can contact the support from noon. 8-23 on weekdays and 9-22 on weekends. You can get in touch either by calling or filling in a contact form. Gratorama Casino 96% Rating Play! Lucky Bets Casino 92% Rating Play! Lapalingo Casino 97% Rating Play! Casino Euro 93% Rating Play! Cherry Casino 94% Rating Play! Inter Casino 93% Rating Play! WixStars Casino 93% Rating Play! 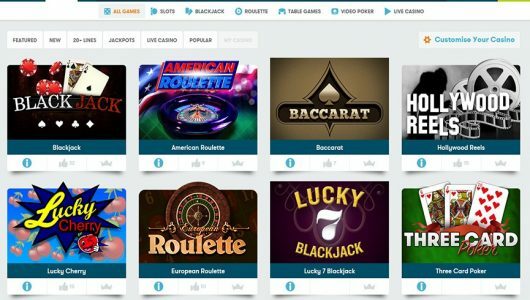 Casino Free Spins No Deposit Copyright © 2019 All Rights Reserved.